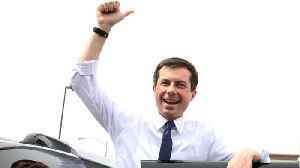 With higher poll numbers comes more and more scrutiny for 2020 Presidential hopeful Mayor Pete Buttigieg. And now a pastor in Virginia is coming after the openly gay candidate warning what could come with a President Pete. Veuer's Nick Cardona has that story. 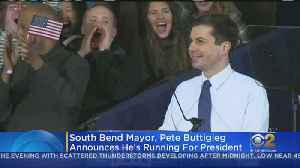 South Bend Mayor Pete Buttigieg officially launched his campaign for president on Sunday, joining a pool of 17 other Democrats aiming to unseat President Donald Trump in 2020. 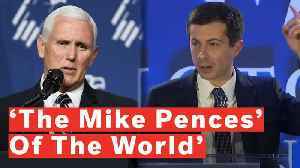 Huff Post reports 2020 Democratic candidate Pete Buttigieg says his criticisms of Vice President Mike Pence are about Pence's policies and not his religious beliefs. 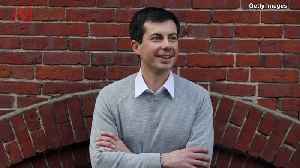 In an appearance on “The Ellen..
South Bend, Indiana&apos;s openly gay mayor and 2020 Presidential candidate Pete Buttigieg has been criticizing Vice President Mike Pence on the campaign trail to no end. 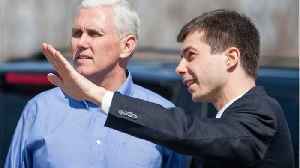 Buttigieg, who knew Pence..
South Bend, Indiana's openly gay mayor and 2020 Presidential candidate Pete Buttigieg has been criticizing Vice President Mike Pence on the campaign trail to no end. 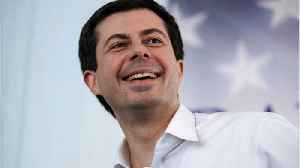 Buttigieg, who knew Pence..
On Saturday, April 6th, Mayor of South Bend, Indiana Pete Buttigieg spoke at the LGBTQ Victory Fund Champagne Brunch. 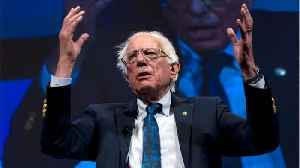 Buttigieg—the first openly-gay Democrat to explore a nomination for the 2020..